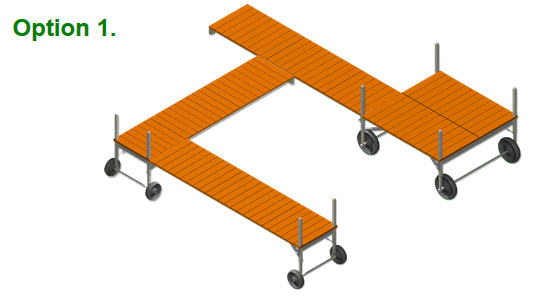 The advantage to a V-Dock is that you can have sectional dock layouts to suit multiple uses, or use roll-in dock layouts that conform to your property’s requirements. 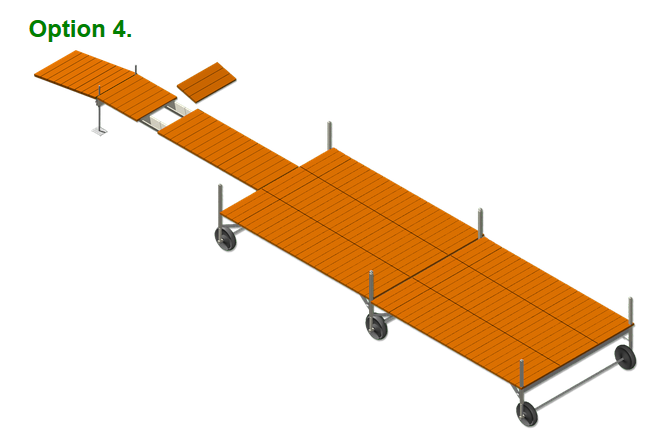 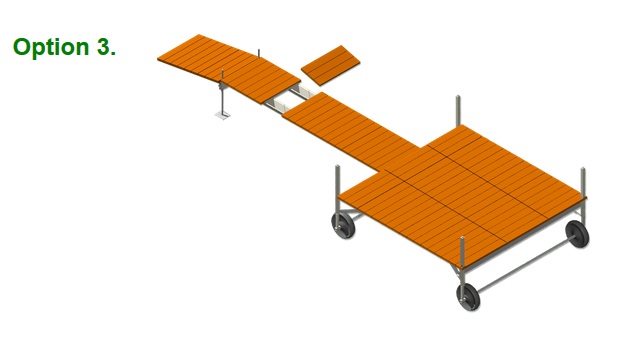 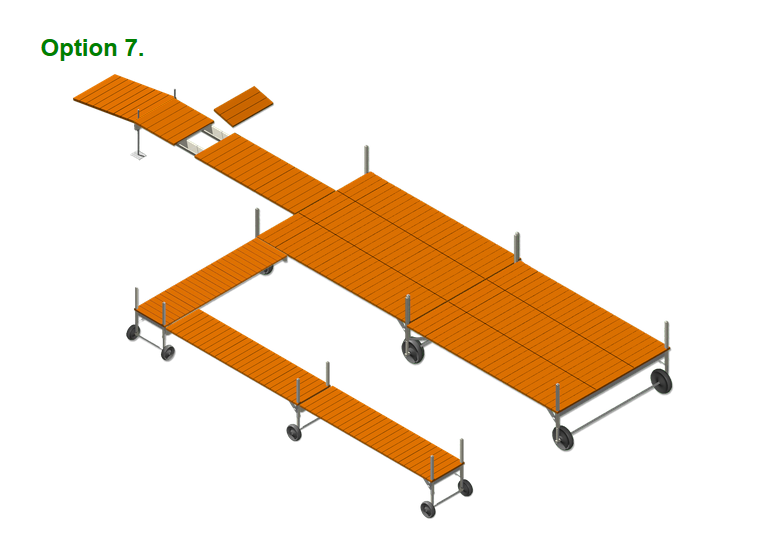 Just a few of the many options for boat dock layouts and configurations are shown here. 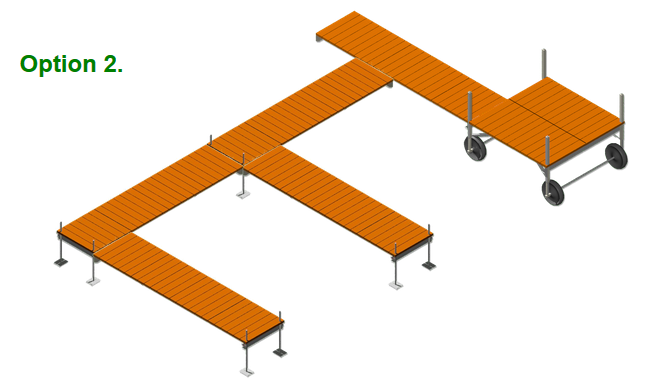 Contact our V-Dock team today if you need more help in planning your dock use and installation. 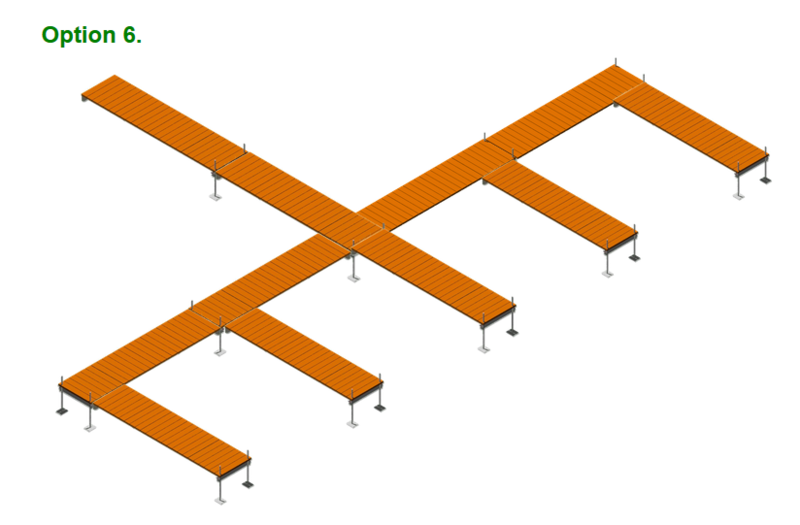 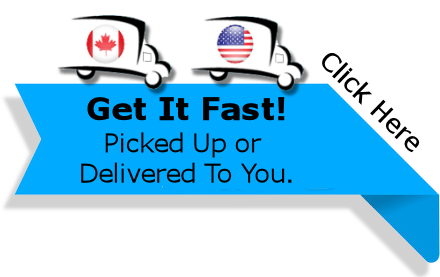 We can help you configure a different design or if you have a design idea. 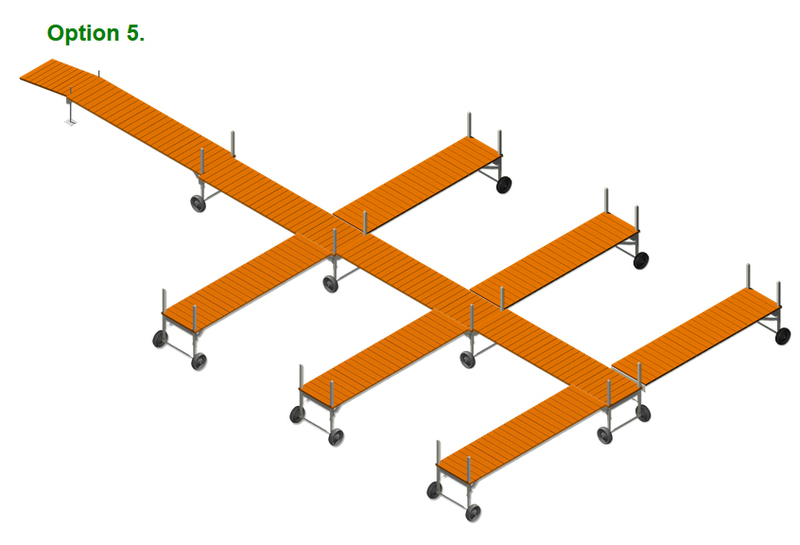 Also feel free to sketch your drawing on a piece of paper and email to us.